Do mindfulness and meditation really help? “Of course,” exclaimed Mary Bitterauf when I asked her if mindfulness and meditation really help. 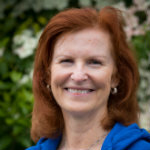 Mary is a certified Mindfulness Based Stress Reduction (MBSR) teacher at the MaineHealth Learning Resource Center. She teaches an MBSR course based on a program developed by Jon Kabat-Zinn at the University of Massachusetts Medical Center. This is what Mary had to say about the benefits of mindfulness and meditation. I have been teaching the program for over five years. My teaching certification is from the University of Massachusetts Medical Center and I was trained in the Jon Kabat-Zinn program, which is world renowned. The reason I teach it at the MaineHealth Learning Resource Center is because we know it’s effective. A lot of people talk about mindfulness today. Meditation is a tool to achieve a certain quality of mind so it is part of the mindfulness practice. What we know about [the benefits] is through the research and the medical evidence that Jon has been able to provide over the course of 35, almost 40 years. And we know that it absolutely works. The 8-week Mindfulness Based Stress Reduction program has been proven to reduce blood pressure and enhance the immune system and to help people with a wide variety of chronic conditions such as stress disorders, chronic pain, heart disease, anxiety, depression, sleep issues and fibromyalgia. There are many physical benefits and studies have been done repeatedly to validate the effectiveness of mindfulness meditation when done on a regular basis. I was diagnosed 20 years ago with rheumatoid arthritis which is an autoimmune disease. It affects the joints and other organs in the body and with that often comes pain. It can be somewhat controlled by new biological medications but when I was first diagnosed, they weren’t available so I did have a lot of chronic pain. One of the ways I was able to manage that was through the practice of meditation and through gentle movement such as yoga, particularly a style of yoga called restorative yoga which is very, very gentle movement of the joints. When you deal with chronic pain, there is also a lot of anxiety and depression. Mindfulness and meditation are helpful because they keep you focused and centered instead of [launching into] “catastrophic thinking.” You recognize how often the mind takes us in different directions and we start worrying about the past and the future, which usually causes stress. Mindfulness and meditation bring you back to the present moment where you can steady your mind and find stability. Watch this 10-minute video clip to learn more about the science behind mindfulness. Mary still has a few openings in one of her upcoming classes. It starts Wednesday, April 26 from 10 am to 12:30 pm and ends June 14. If you’d like to try a 15-minute sitting meditation narrated by Mary, click here. Mindfulness and meditation have been proven to be extremely beneficial in many areas of life, psychologically, spiritually and physically for people of all ages. Taking 15 minutes out of each day to do a meditation practice and then practicing mindfulness throughout the day is a very effective way of improving one’s life and health. As a psychotherapist, I have been teaching my clients and patients mindfulness and meditation for over 30 years. To be sure that they do the needed practice on a daily basis I strongly suggest they work with some of the guided mediation programs at http://www.lightunlimitedpublishing.com by Jon Shore. They are all consistently well produced and they have different exercises for various purposes. Most important is to practice on a daily basis, like anything we want to be good at. The more you practice the more available the skills will be available when they are really needed. It can’t hurt to try. Thank you, Dr. Erikson, for the additional information and resources.